Yes, Bollywood actors do make mistakes during their shoot. It goes to say that not everyone is perfect. Hilariously so, watching clips of amusing bloopers by celebrities is something we can’t ignore because duh. We’ve compiled a list of bloopers that’s most probably going to make your day even better. SKR is known to be funny AF on sets. If it weren’t for his witty nature, shooting with him would’ve been so boring. All the three idiots had loads of fun shooting for the movie. This video is living proof of it. How is it even remotely possible that Anushka Sharma doesn’t recognise her husband without a moutache? Race 2 was not as sombre as you thought it was. Katrina Kaif’s solo dance was pretty striking. So was her remote dressing. How did her shoes go from boots to knee-length boots? Ranbir and stupidity go hand-in-hand. We know you agree. There’s Abhishek, John and Priyanka in one frame. Something senseless is bound to materialise. The ‘Teri Galliyan’ song from the movie was stunning, isn’t it? So was the fake snow in one of the scenes in the song. 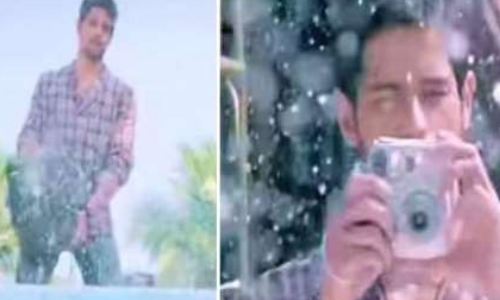 But, if Sidharth was the one spraying the snow, how is it possible that when he was taking a picture of Shraddha, the snow never stopped falling? Sure, it was a blockbuster hit. But, as always, with every box-office hit comes hilarious behind-the-scenes that’ll make you laugh uncontrollably.